Finding the right trawler is a time consuming vocation and though most buyers are savvy enough to determine their preferences and can locate a desirable trawler for sale, the actual transaction process from making an offer through closing the deal can take a confusing path of twists and turns that can end up in frustration, unexpected expenses and wasted time. It’s a lot easier process if you can find a trusted yacht broker who will be on your side during the hunt, throughout the purchase negotiations and after the sale. Interestingly enough, picking your yacht broker is typically not your choice to make…at least that is how the industry is set up. Put yourself into the eyes of the yacht brokerage owner who wants to feed their sales staff. Every email, phone call, walk in, etc. is a “LEAD” to be distributed to the sales person who is “UP”. Most boat buyers have no idea that by making a call they have created what can amount to a lifelong relationship with the sales person who happened to pick up the phone. Some companies even turn a seemingly innocent purchase of a hat or shirt into a “LEAD” and assign the buyer to a sales person. If you have been to a boat show or two you may now realize that those “BOARDING PASSES” where you filled out your name, address, phone and email so you could take a tour have been integrated into the company contact management system and you now not only have a permanent home in the data base, but you have a sales person assigned to your “ACCOUNT”. Don’t worry, this is how it has been done for ages and in fairness every sales organization needs to have some way of managing client distribution, but what do you do if the sales person you are identified with doesn’t quite “connect” with you? Buying a trawler, from my experience, is not an impulse purchase, it is a long, drawn out, well analyzed process that can be done in a matter of weeks, but on average takes five years from original contact to purchase. 5 years is nothing to you, you may need that much time to get your personal affairs in order to be able to take off on this grand adventure, but to most sales people five years is Forever. It is much preferred, from the sales side, to have buyer call in who has already done all of their research online, knows exactly what they are looking for and is ready to write up a contract and make a purchase right now, TODAY. Actually that has happened to me, but it is extremely rare and unrealistic…quite frankly it takes a lot of the fun part out of this business. The entire educational process of getting to know my clients, hearing what their boating plans are, looking at potential boats together, going through the learning curve and explaining all of the decisions they need to make is not only creating, but building what is in simplest terms a “RELATIONSHIP”. The broker you select should be someone who is experienced in the type of boats you are looking for and needs to be someone you can confide in and trust. The best yacht brokers have a reputation for taking care of their clients and putting together deals that bring satisfaction to both the buyer and the seller. Your yacht broker needs to know all about you and what your cruising plans are in order to find you the right boat for your purposes. This is a big responsibility that requires strong work ethics and professionalism throughout the process. Your broker should have excellent communications skills and be prompt with responses, have good attention to detail and be a good listener. They need to focus on maximizing your valuable time minimizing distractions and interruptions and mostly make the process enjoyable. It’s best if you can meet with your yacht broker in person and continue the relationship with phone calls, texts and emails. This is a major purchase and your yacht broker should help you understand that the spending does not just end with the purchase price; there are also other expenses like maintenance considerations, repairs and upgrades. 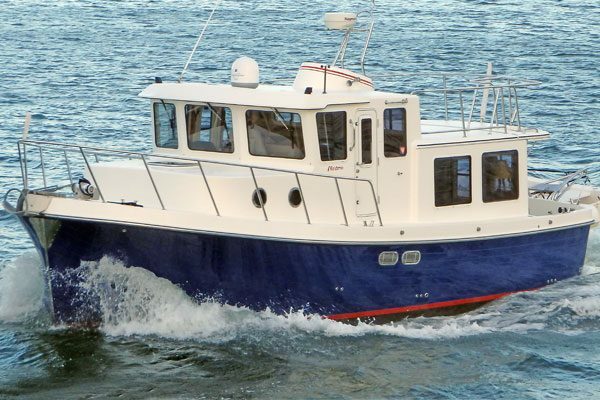 Finding the right type of trawler with your input will then allow you to work on comparison spread sheets – evaluating what is on market to review the differences and advantages of each available trawler you have developed an interest in. They should also be able to give you an analysis of what similar types of trawlers have sold for and what closing prices were achieved – explaining to you the comparative differences in asking prices, time on the market, systems and equipment selections, condition and location. Connected brokers have a network of resources that they can make available and build on this by staying actively involved in the industry in order to remain tuned in to the market. You should be looking for a yacht broker who can assist you in all aspects of the purchase process. To start this begins by researching choices and arranging viewings. When you identify a trawler of interest they can help you make an offer by providing you with legally vetted purchase agreements. Your broker should hold your deposit in a safe, bonded brokerage trust account (escrow). They should be able to guide you to legal advice to understand titling (family trust, LLC, etc.) and taxes (sales tax, property tax, use tax, etc.). 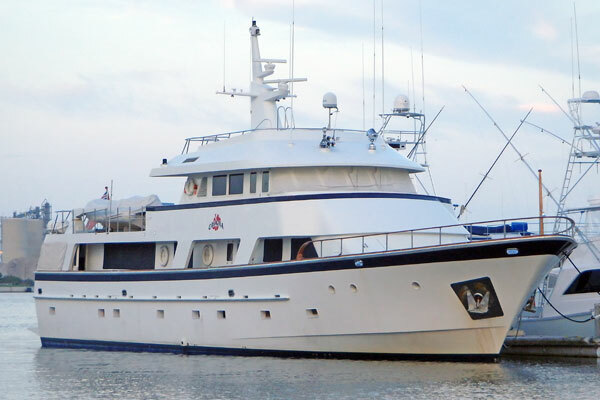 A good yacht broker will have a list of questions to help you hire a surveyor (hull and diesel mechanic) and help you assemble your trawler buying team by referring you to insurance providers and yacht financing lenders. Helping you find a haul out yard for the inspection and also advising on options where you can keep your boat after the deal closes are also important attributes they need to possess. You should be able to rely on your broker to recommend a documentation service that will check on liens, create a bill of sale, transfer USCG documentation and confirm tender registration. There are a lot of “moving parts” once the offer has been accepted and an organized game plan including a detailed time line identifying who is responsible and by what date tasks are due as well as a summary of the contacts involved is an essential tool a good yacht broker can contribute. After the sale your broker should set aside some time to help you become acclimated. They should have the product knowledge and experience to train with you on systems operations and practice boat handling to make sure you are comfortable with your new boat and understand how to run it with confidence. Check lists for start up, engine room inspections, watch standing and arrival in port are helpful tools that your broker may be able to provide for you. Another important aspect is to help you determine which tools you will need, spare parts to inventory and prioritize repairs and upgrades. Introducing you to other trawler owners and owners groups will help you join the trawler cruising community and even though you need to break free and get out cruising on your own you should expect a few follow up phone calls and your broker should check in to see how you are adapting and help answer any questions that come up as you go out to enjoy adventures with friends and family.